Let's pick up where I left off in my first installment of our Toronto trip. Now that we've covered all the good eats, let's talk about sites to see, things to do and places to shop! If you have a chance, swing by Graffiti Alley for some great photo ops in front of colorful street art! Dan had never been to Niagara Falls and I was pretty young when I went with my family. So, we decided to make the short drive (1.5 hours) to the Falls. See the picture of the boat? Yup, we did that. Drove right up to the Falls which was actually pretty cool (it was about $25 / ticket). We also did the Journey Behind the Falls, which was a neat way to learn a little bit about the history of the Falls. Here I am sporting the oh so fashionable poncho. Not sure if it really did much! On our drive back to Toronto, we stopped in Niagara On The Lake (at the recommendation of our AirBnB hostess). I am so glad we did because it's just the cutest town. Visiting the St. Lawrence Market is a must! It has been ranked the best food market in the world. But with over a hundred vendors, it can be quite overwhelming. We decided to take a food tour of the market through the Culinary Adventure Company. It was basically a private tour since we were the only two who signed up. We highly recommend this tour as the guide took us to some amazing vendors we wouldn't have known about. For example, Toronto is known for its peameal bacon (I did not know this!). We stopped at the Carousel Bakery to try one (pictured above), which is a must! At each vendor, we sampled the cuisine and by the end of the tour, we were stuffed. We were told by our tour guide that this is the BEST chocolate milk out there. It was pretty chocolaty - like drinking a chocolate bar. It was a bit much for me but Dan LOVED it. Dan and I took a quick ferry ride over to Center Island for an hour or so just to check it out. The views of Toronto from the island are pretty spectacular. You could also take the ferry to Hanlan's Point (there's a beach on this one) and Wards Island. V de V is a great home decor and accessories store. It reminds me a bit of Anthropologie. Everything in there is just so darn pretty. Speaking of pretty, another cool store I popped into was The Abnormal Beauty Company. I loved the packaging of the beauty products and the way the store is set up. If you are a beauty junkie, you'll love this store. Whenever we travel, we always love seeking out local brands. 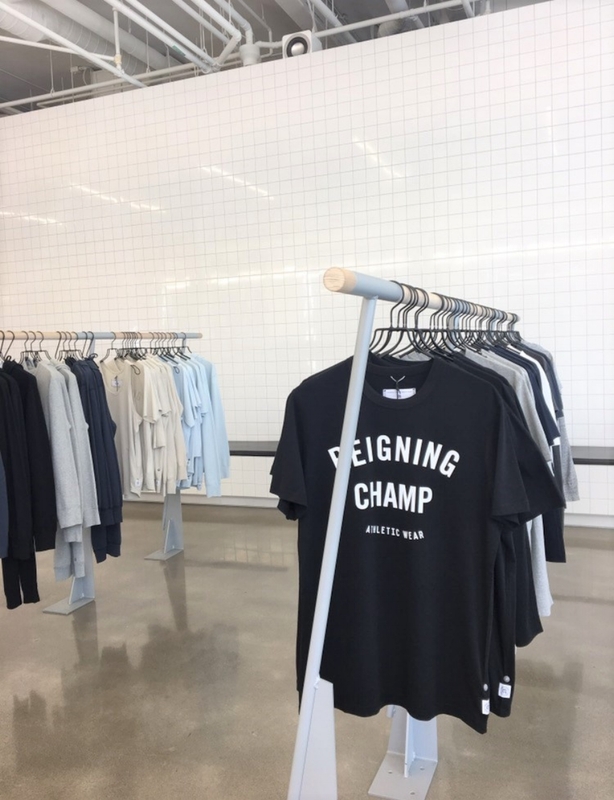 Reigning Champ is based in Vancouver (with presence in Toronto) and creates premium athletic wear. I especially love the clean aesthetic of the store. Another one of our fave places to shop at is Roots. They make the best sweat-everything! We spent a few hours at the Royal Ontario Museum. I was really interested in seeing the exhibit that was focused on family photos. World of advice. Buy your tickets in advance. Dan and I were lucky we went on a weekday and walked right in to purchase our tickets. On our way out, the line to purchase tickets was down the block! At the recommendation of an IG follower, we stopped by the Distillery District. It's a collection of Victorian Industrial buildings that have been transformed into restaurants and shops. We took a nice stroll through and popped into a handful of great shops. It got pretty cool the evening we walked around the Distillery District so we stopped by SOMA Chocolatemaker for some hot chocolate and a little treat!